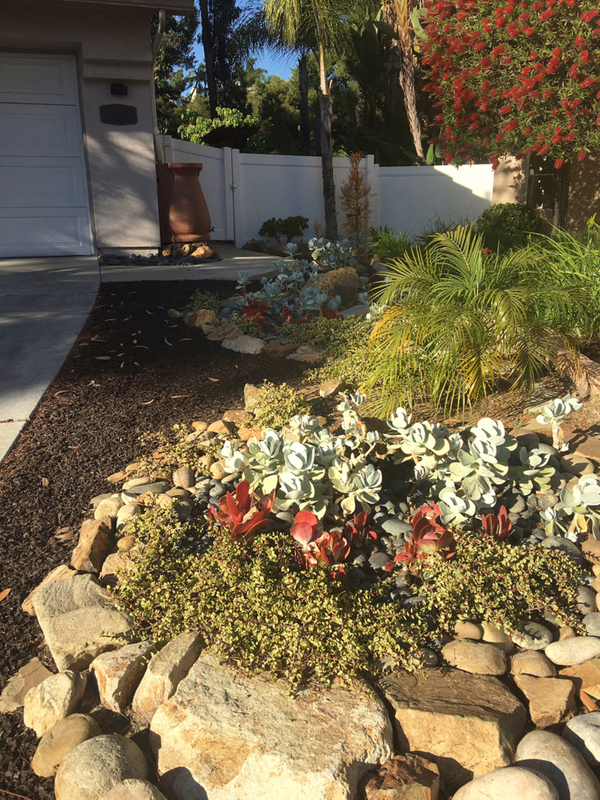 Robert & Elaine wanted to do something about their high-maintenance, water-thirsty front lawn. 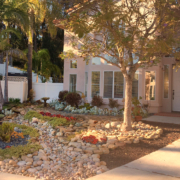 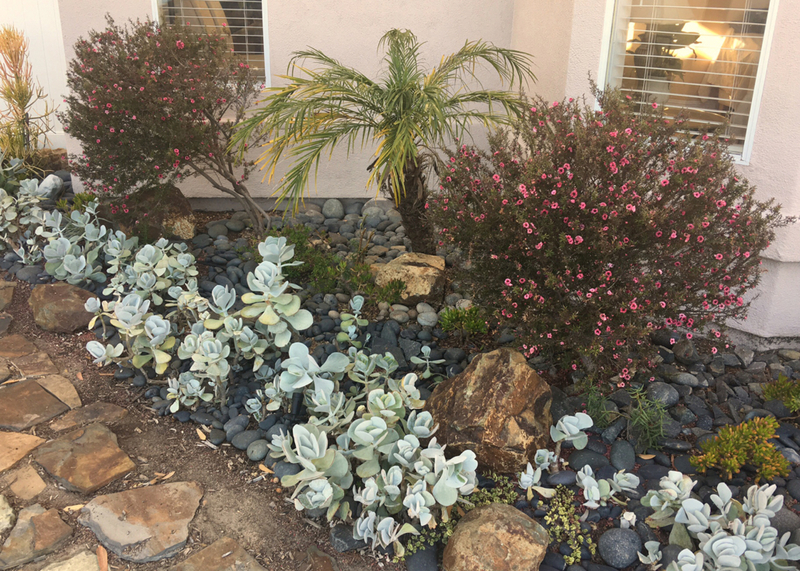 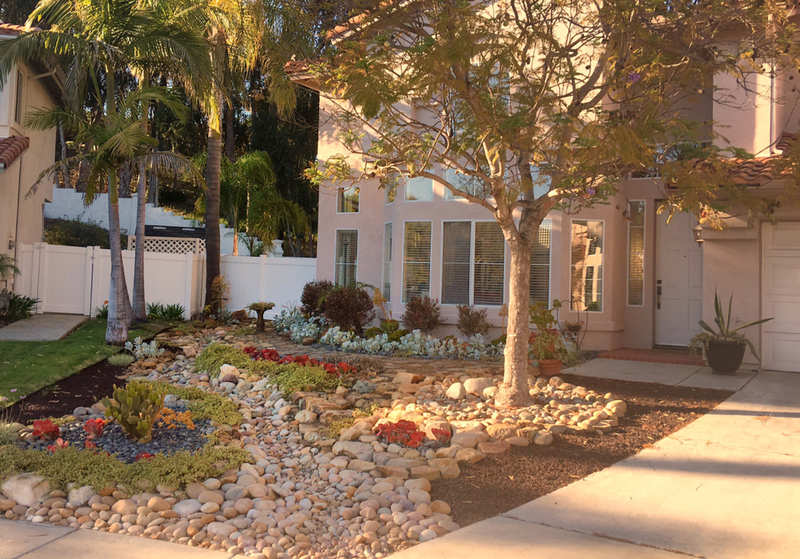 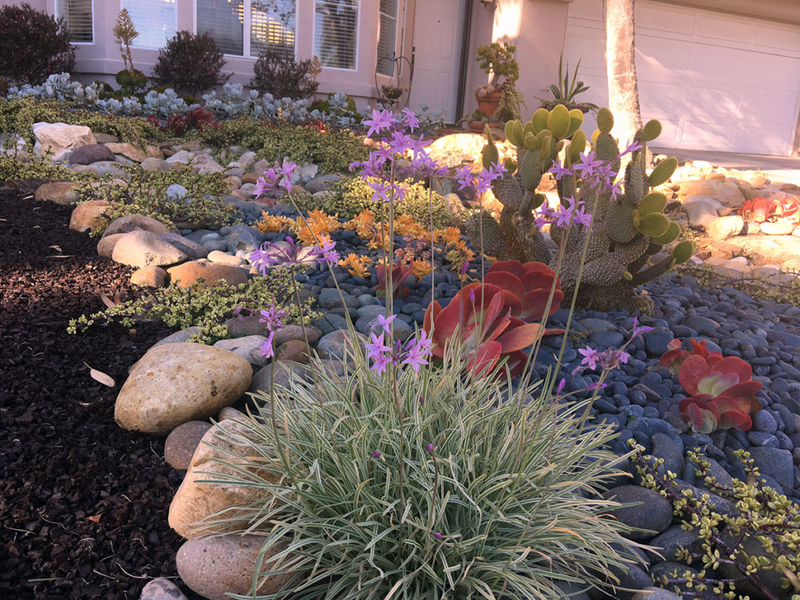 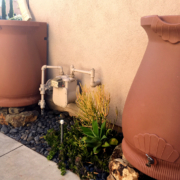 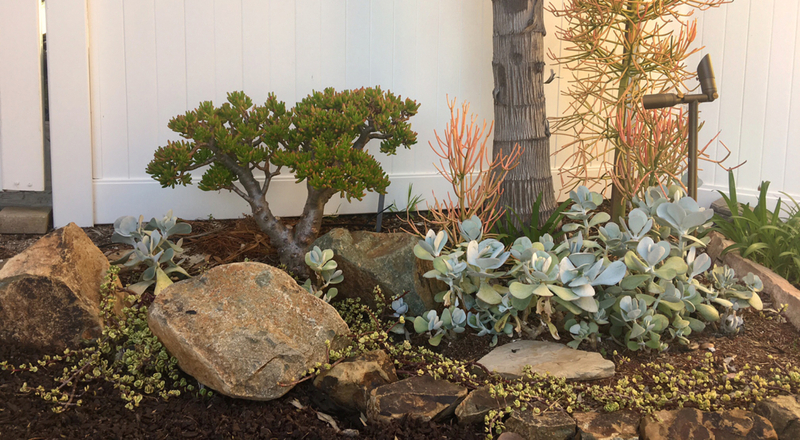 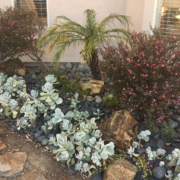 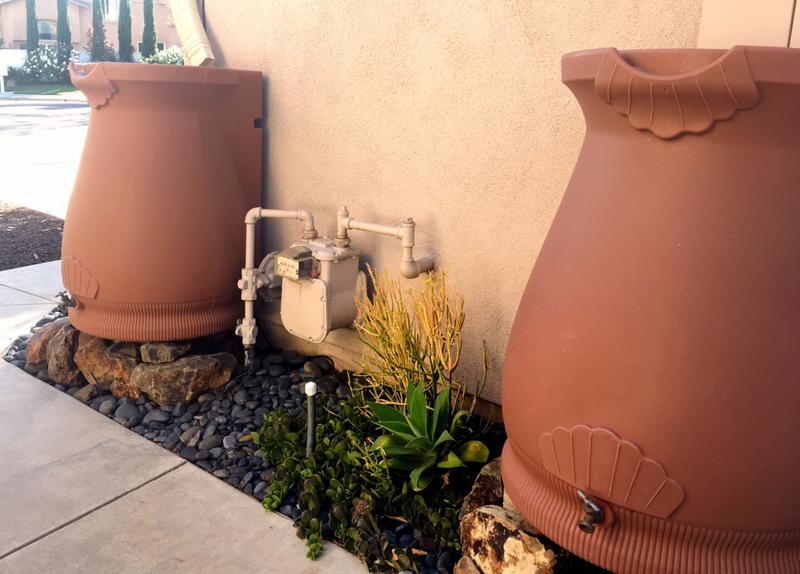 A co-worker suggested xeriscaping with succulents and they became after learning how these water-wise, low-maintenance plants come in a variety of shapes, sizes, and colors. 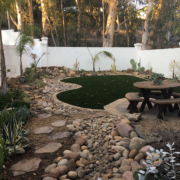 Ultimately, they did the project themselves once their landscaper became unavailable. 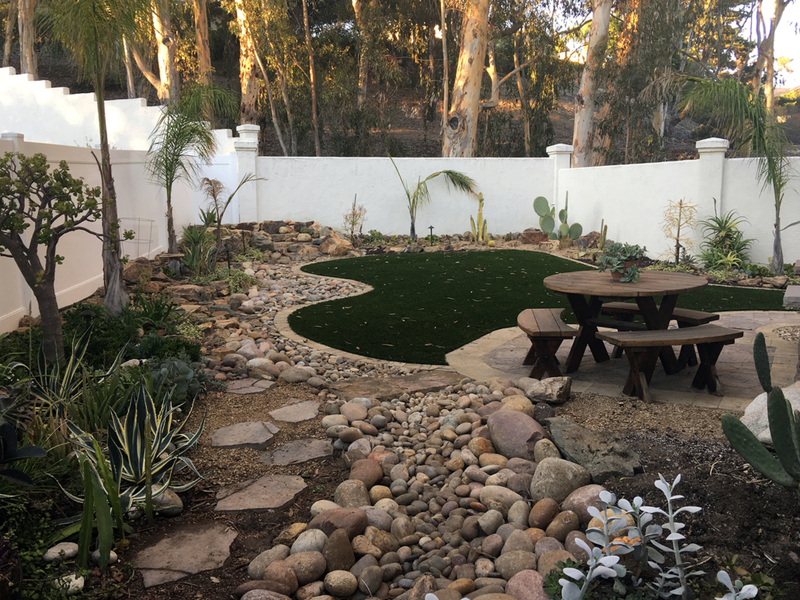 It was a daunting challenge, but with the help of family they simply took it one day at a time and soon their vision became a reality. 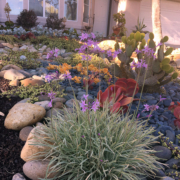 It was quite a project, but they love what was accomplished. 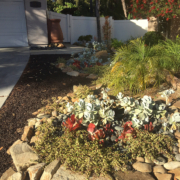 Download a WaterSmart Landscape Contest Flyer. 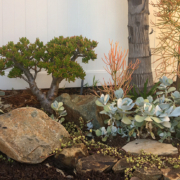 Click the image for a PDF of the event announcement.